MURRIETA (CNS) - A man accused of striking a veteran California Highway Patrol sergeant while driving drunk on Interstate 15 in Lake Elsinore last weekend was charged Wednesday with second-degree murder. Michael Joseph Callahan, 36, could face 15 years to life in state prison if convicted of killing Sgt. Steve Licon last Saturday. Callahan appeared before Riverside County Superior Court Judge Stephen Gallon and pleaded not guilty. 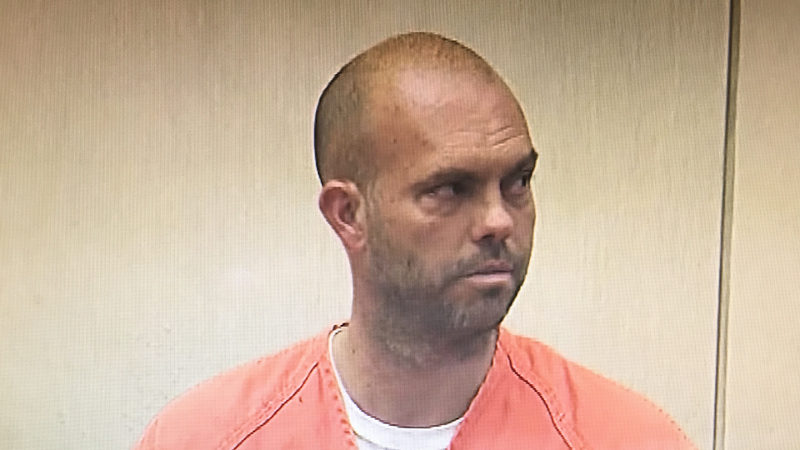 He remains in custody at the Robert Presley Jail in Riverside in lieu of $1 million bail pending a felony settlement conference for May 16 at the Southwest Justice Center in Murrieta. about 1 1/2 miles north of Nichols Road. bike and the Chrysler from behind, investigators said. hour later. The family of four in the Chrysler escaped injury. Callahan was treated for minor injuries and booked into jail. declined to reveal his alleged level of intoxication. 2013, according to the agency. RIVERSIDE (CNS) - A memorial fund established in honor of the Riverside-based California Highway Patrol officer killed by an alleged drunken driver over the weekend is accepting donations to assist his family, it was announced Monday. LAKE ELSINORE (CNS) - A veteran California Highway Patrol motorcycle sergeant was struck and killed by a car on Interstate 15 near Lake Elsinore, and the driver was arrested on suspicion of various crimes, CHP officials said Sunday. Sgt. Steve Licon had pulled over a Chrysler sedan for a traffic stop at 4:26 p.m. Saturday on the right shoulder of the southbound side of the freeway north of Nichols Road when a gray Toyota Corolla slammed into Licon, his motorcycle and the Chrysler, according to the CHP.